Hot summer days — swimming, picnics and fireworks — are my memories of the Fourth of July when growing up in the Shenandoah Valley in Virginia. 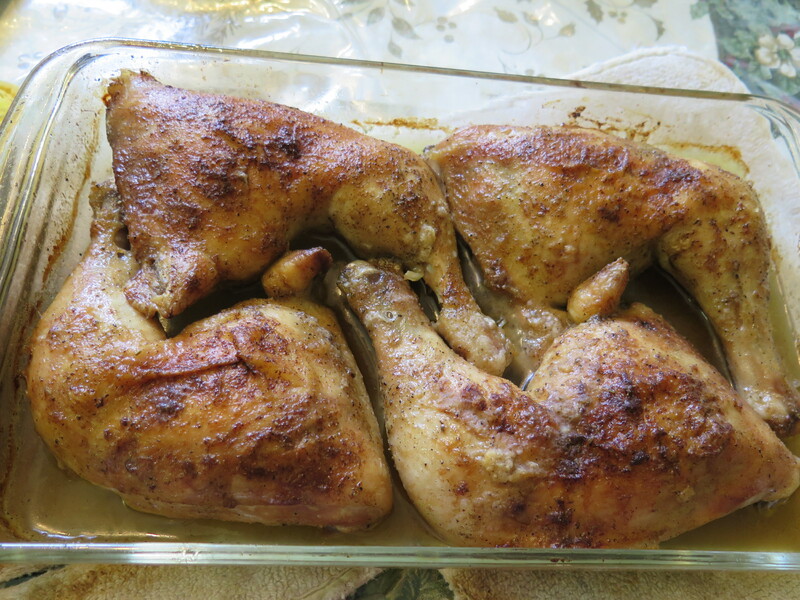 And the picnics often included a unique style of BBQ chicken found only in that part of Virginia. But it is by far the best BBQ chicken I’ve ever eaten. What’s a more classic dessert than cake and ice cream on a special occasion? For Father’s Day, I tried a variation — combining the two desserts into an Ice Cream Cake. This is a surprisingly easy make-it-ahead dessert; if you plan ahead. 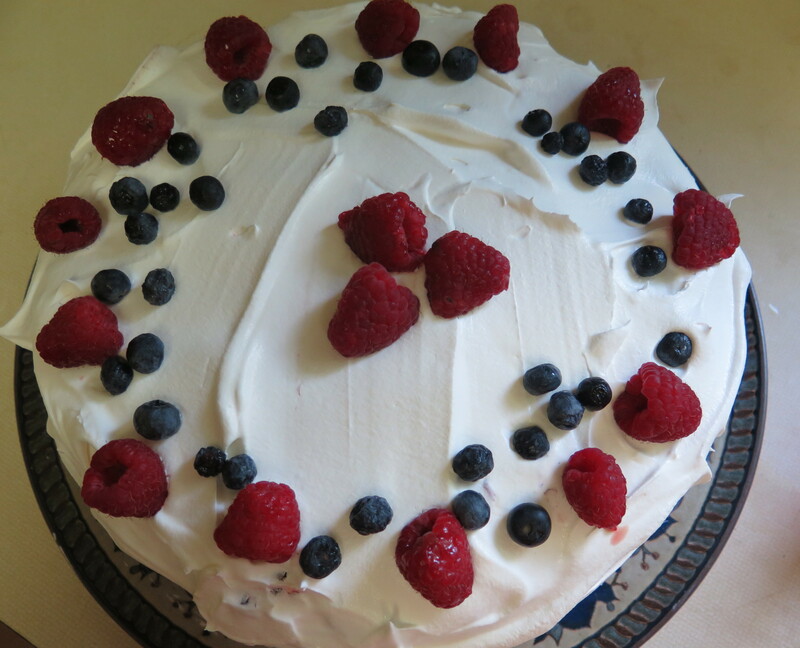 My experiment turned out well — it tasted great, looked festive and my family liked it. I attended a convention two years ago; the Monsanto Company handed out sample vegetable seed packets as a vendor. 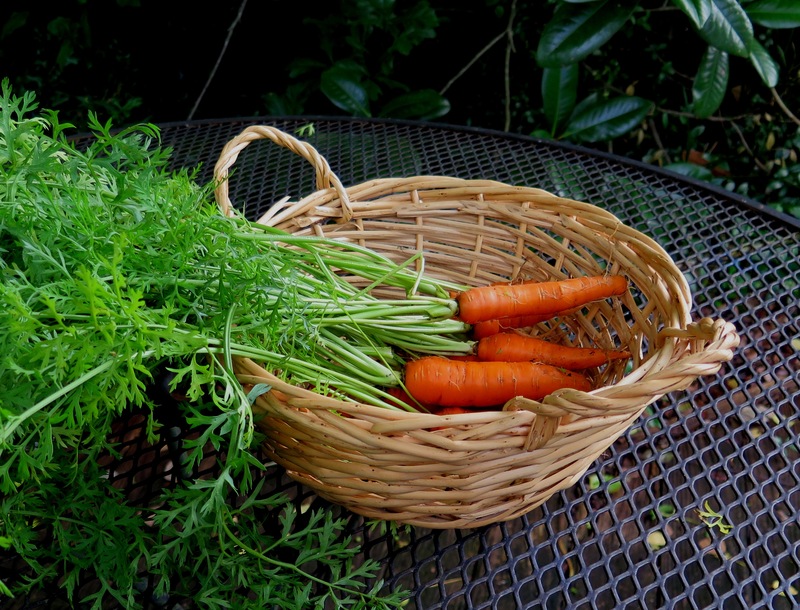 I planted the carrots this February and they grew! For a recipe, I made Glazed Carrots. At the convention, Monsanto researchers participated in a workshop on Genetically Modified Organisms (GMO) crops. 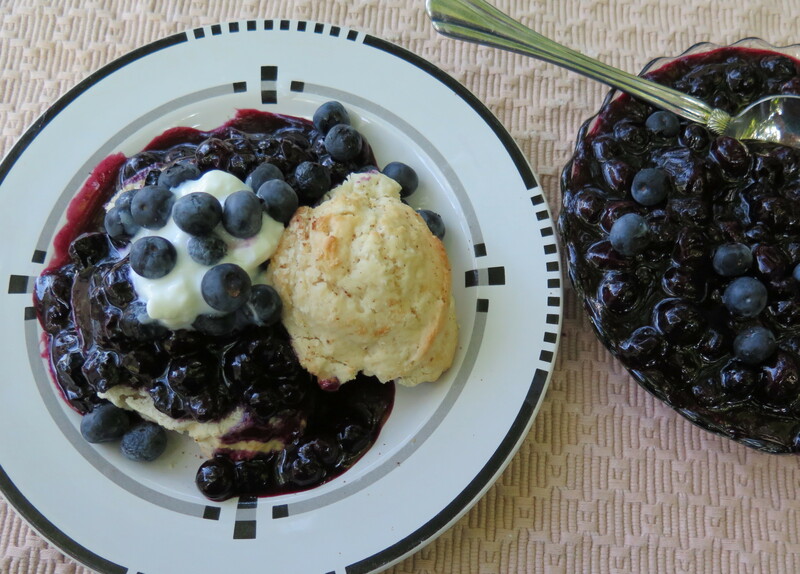 Here’s another recipe for blueberries using the generous supply growing in my garden. I made Blueberry Sauce and served it with Jiffy Shortcakes and yogurt. The Blueberry Sauce tastes great with many other dishes, too — such as cheesecake, pancakes or an ice cream topping or mixed into a blueberry crisp or streusel. Blueberries are ripening in my garden in Louisiana and I’m looking for ways to use them. 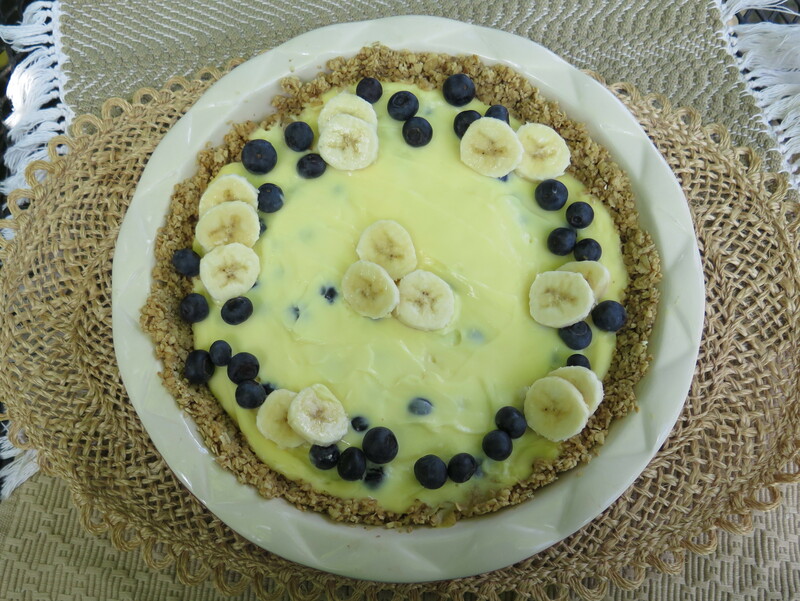 Here is a quick, simple and very healthy pie which combines blueberries and bananas with an instant pudding filling and oatmeal crust. It’s delicious!